In 1980 Breeze added two new members to it's line up and changed their name to Renegade. We had Dave Gressel on vocals and guitar, Bob Colasurdo vocals and guitar, Bob Beguine vocals and guitar, Neil Morris on Bass and Doc Van Etten vocals and drums. Renegade called Redmond home, but most of the time you could find them rolling down the highway in their bus heading for another show. We were a hard-working and hard-partying band. We booked our gigs from 'Far West Entertainment.' They always kept us busy... "and the wheels on the bus go round and round!" The band stayed together for two years. 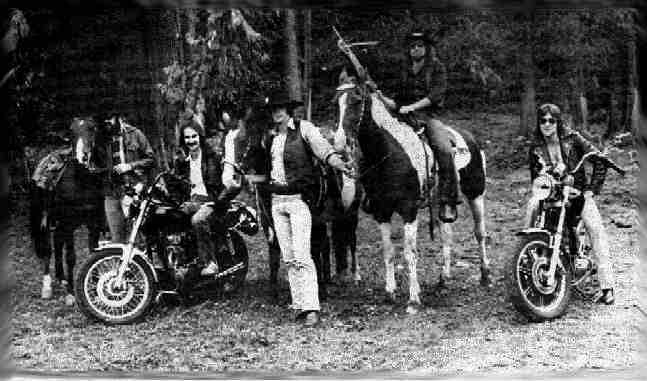 Some of the Pacific Northwest music groups represented in members of this group include: Breeze, Hotel Texas, The Gryffyn Band, The Walrus Bros., The Good Ole Boys, Bobby Lee and the Edsels, Thunder Road, The Stratocruisers and many other Northwest bands.